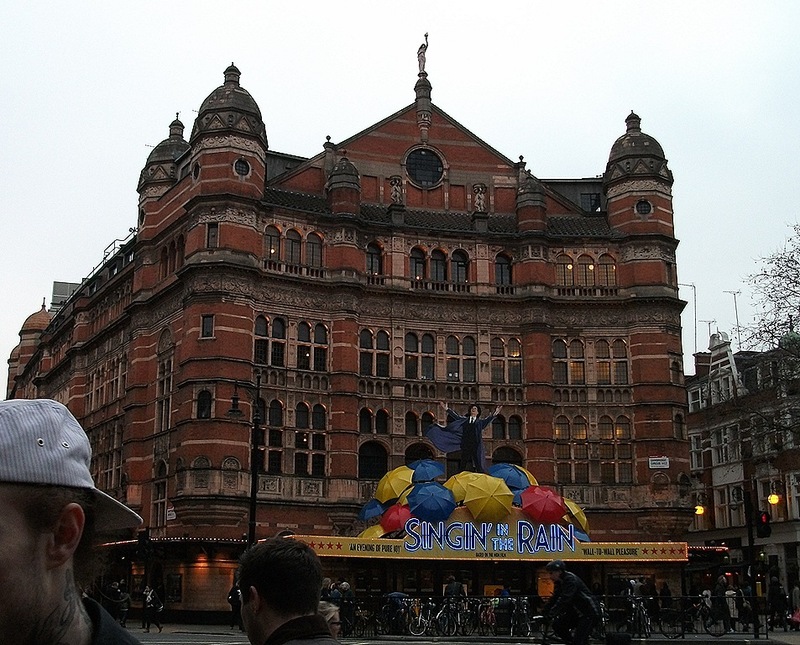 My Travel in London 10 ~ North and South Kensington ~ I’ll be back! Trees were swaying in the heavy rain and the strong wind. I was having breakfast at the hotel, looking out of the window. Has my luck run out finally? 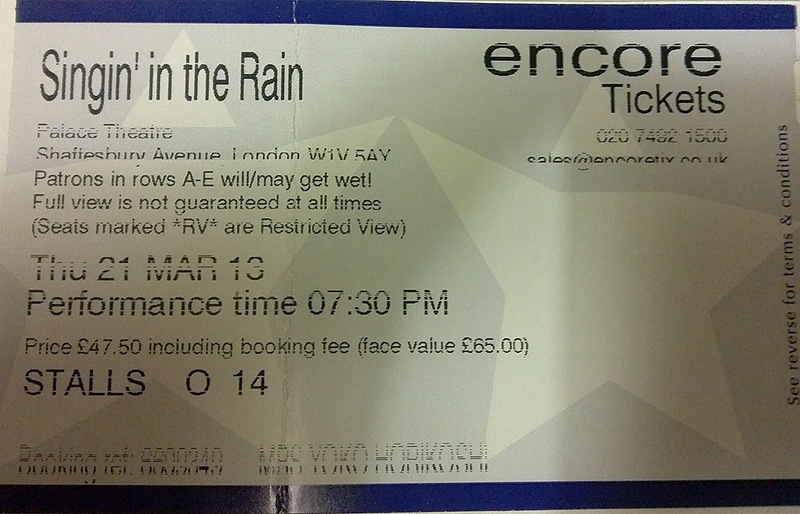 I had not needed to use an umbrella until the previous day since I arrived at London on March 18 in spite of the chance of precipitation being more than 90 % during the week. (The former episodes on my trip are here: My Travel in London 1, My Travel in London 2, My Travel in London 3, My Travel in London 4, My Travel in London 5, My Travel in London 6, My Travel in London 7, My Travel in London 8, and My Travel in London 9) That was my last morning in London. I was supposed to leave for Japan that evening on March 22. 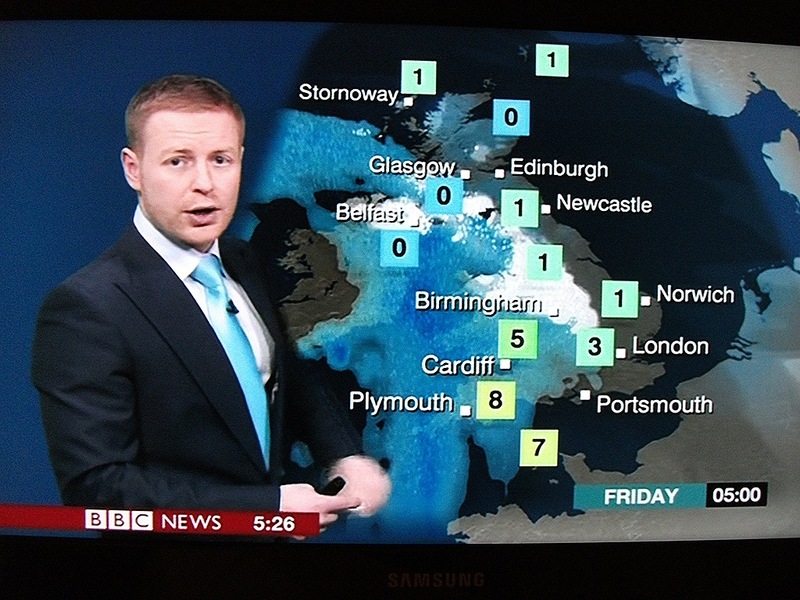 The weather forecaster was warning of the worsening weather repeatedly on TV on the wall. After finishing my last breakfast at the hotel, I dragged myself back to my room to do my packing. I had nearly four hours until the check-out. I did not want to hang around in the heavy rain, but I decided to go out. I wanted to shop in a local supermarket. I would be able to come back to my room and to put the things I bought in the store in my pack in four hours. My luck was still lasting! Amazingly, it was just drizzling when I went out. It was only necessary to pull up the hood of my jacket. 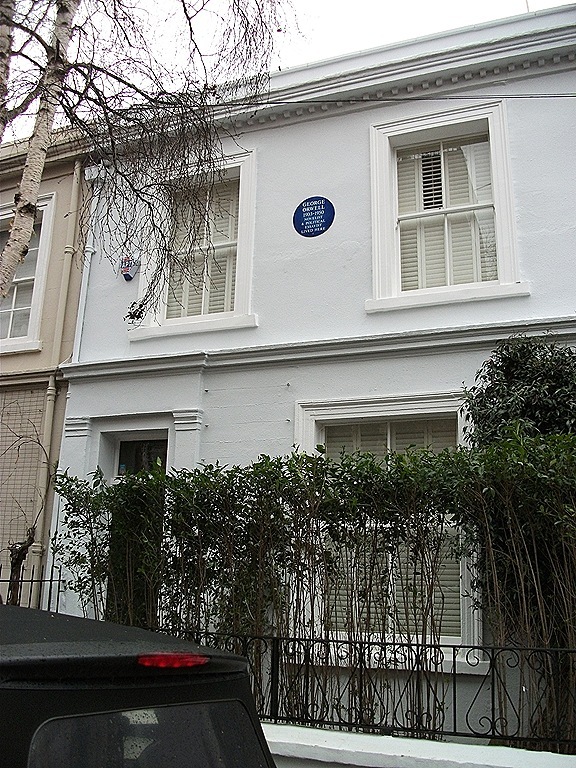 Before going shopping, I decided to drop by an old house of George Orwell, the author famous for Animal Farm and 1984. 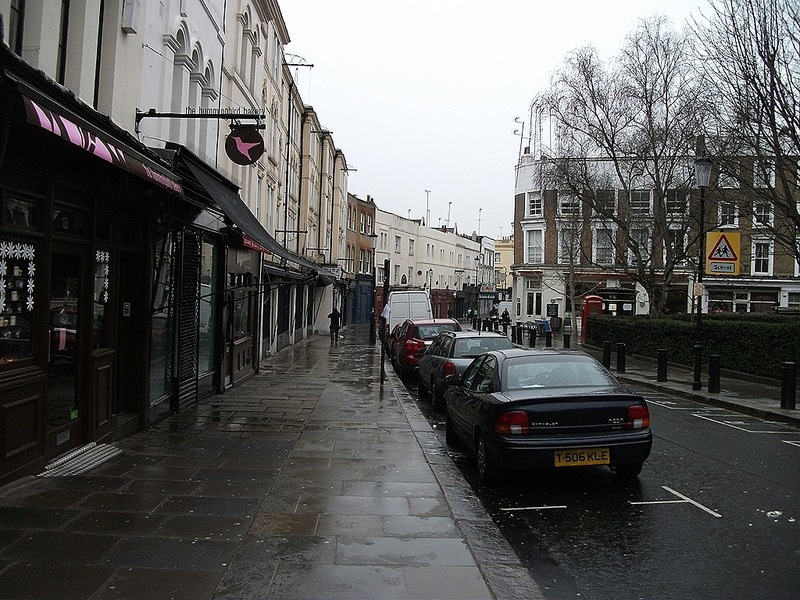 I walked to West Brompton Station and took the underground to Notting Hill Gate. Nathan, an English teacher in Japan, had mentioned the place before I left Japan. 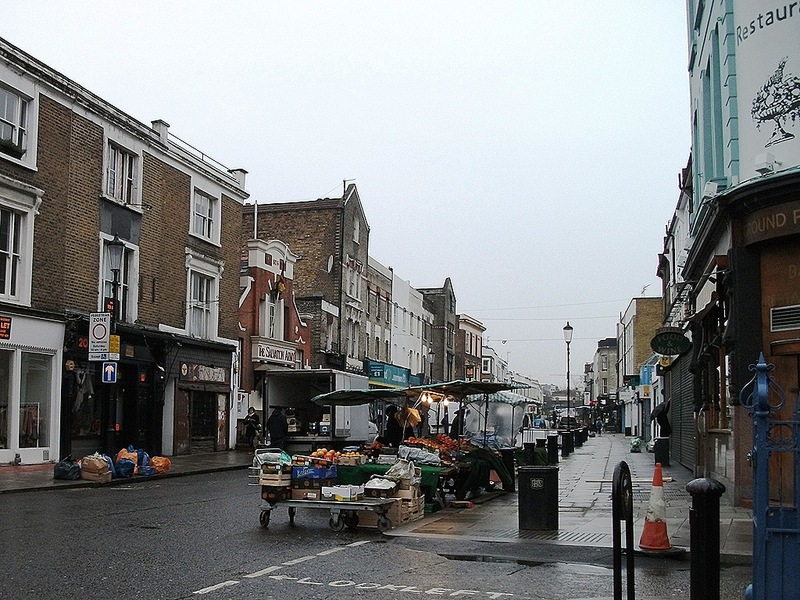 Notting Hill Gate is just the third station from West Brompton. It was snowing when I came out from the North Exit of Notting Hill Gate Station. But it was not so bad. I pulled over the hood and began walking in the powdery snow. 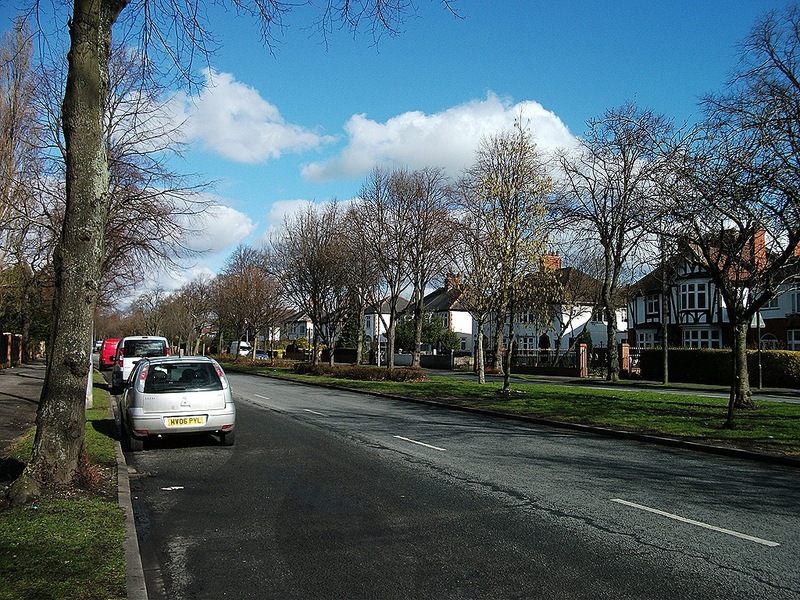 I walked along Pembridge Road and then turned left at the second corner to Portbello Road. Then soon I found on the right side the round-shaped blue plaque, which is a historical marker set up at the places of famous people in U.K. Young George Orwell lived there in 1927 after coming back from Burma to become a writer after resigning as an officer of the Indian Imperial Police. I was able to locate the old house easily but I could not find “The Travel Book Shop” or “The Blue Door” eventually because I had not researched beforehand. 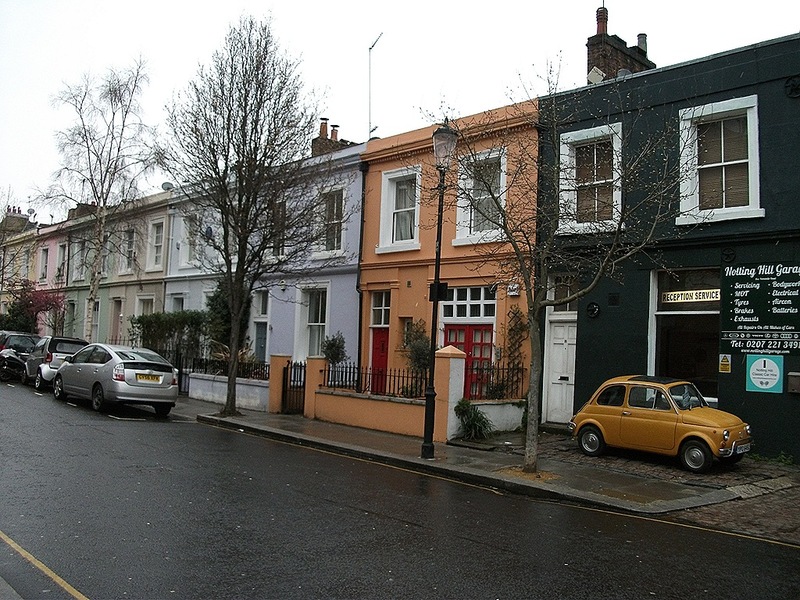 But I was happy to be in Notting Hill as if I were in a filmic scene. All of the shops and most of the stalls had not opened yet. I walked back to the tube station. I got off the underground at Gloucester Road station. It had stopped raining and snowing. I walked toward the north and turned left at the first crossing. 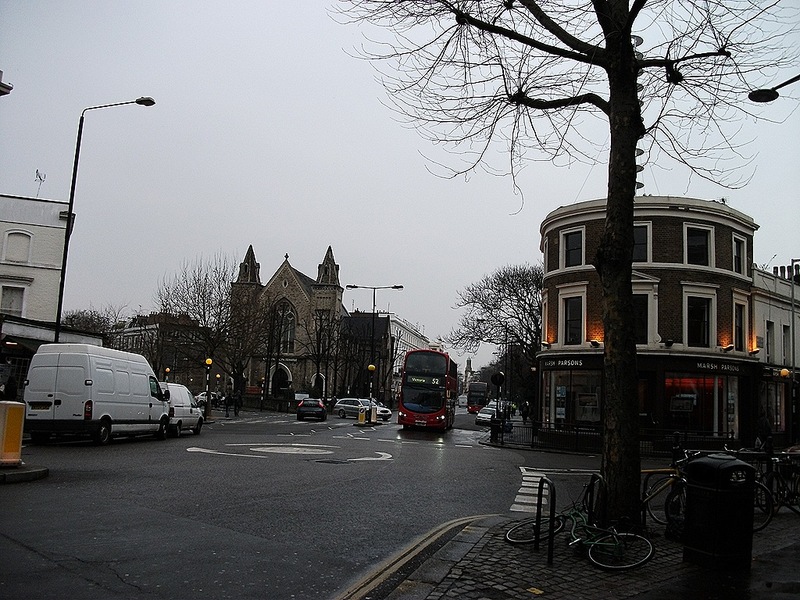 It was about a 10-minute walk along Cromwell Road to Sainsbury’s, the supermarket. When I was browsing through the shop, an elderly woman spoke to me, “Excuse me, but could you read this for me? I forgot my glasses!” She pointed at the bottom of a box of tea. It was just a small interaction, but I was happy because it was my first time to communicate with a local person apart from clerks in London. I enjoyed the slow and peaceful atmosphere in the store on a weekday morning. I bought some snacks, sweets, and bread there, and went back to my hotel. 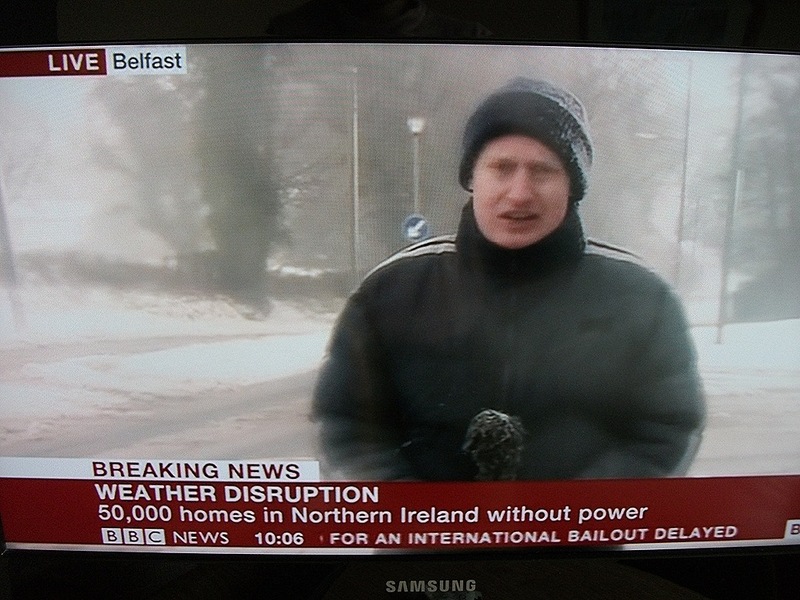 When I turned on the TV, a reporter was talking about the terrible snow storm in the northern part of U.K. I worried about Yuko, who was going to Wales that day, and was about to text her, when I noticed a message from her had arrived in my phone. She was concerned about my condition and prayed for my safe return. Yes, I had to leave this room. I also wished her a safe and enjoyable trip, and then hoisted my pack with lots of souvenirs. Ugh! Heavy! After checking out, I asked a clerk to keep my baggage for a while. It was only at 10:30. My travel agent was supposed to pick me up at 5:00. I had much time left. I went to West Brompton Station again and took the underground to South Kensington Station. 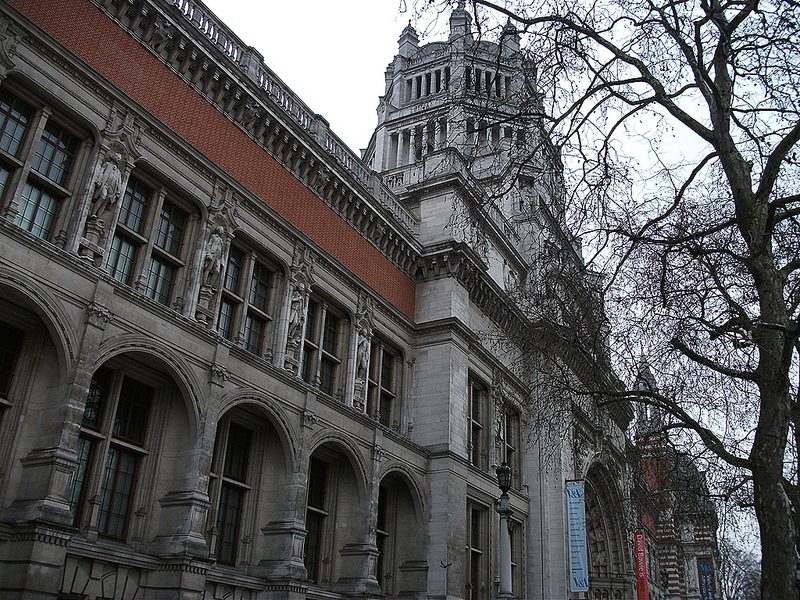 Walking through the underground passage, I entered the Victoria and Albert Museum. 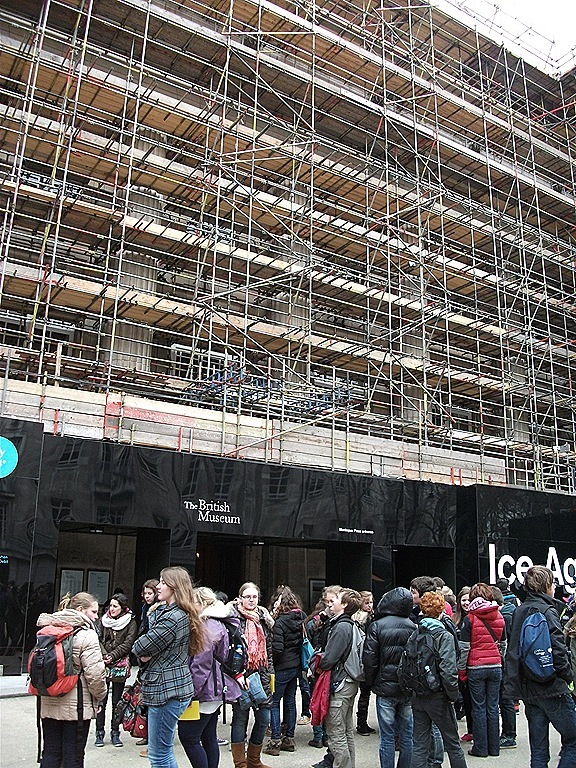 More than 100 people were queuing inside. I wondered what exhibit was ahead. I passed them walking along the line and went to the room. It was an exhibition of David Bowie! Unfortunately it would start next day. 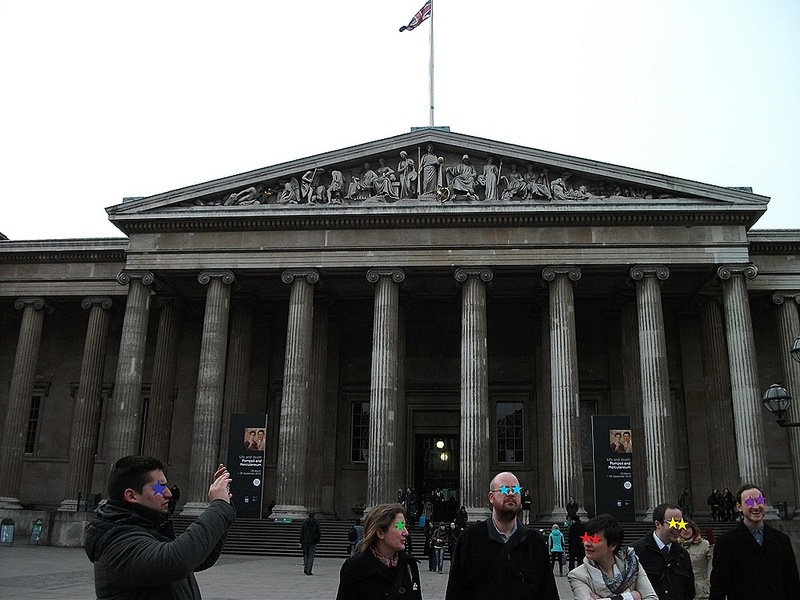 Those people were supporting members of the museum and were able to see the exhibition the previous day. I might be able to see it if I became a member on the spot. But I would have to wait in the line for more than two hours. So, I gave up seeing David Bowie’s costumes, and went to see other treasures. Ah…I should have decided what to see ahead…I got tired soon because I walked around at random. Actually, I had already been exhausted before coming to the museum. I had been occupying a bench before one of Raphael’s big paintings for a long time, but I was not only appreciating it but also having a rest. Raphael’s works were indeed therapeutic, but not enough for me. 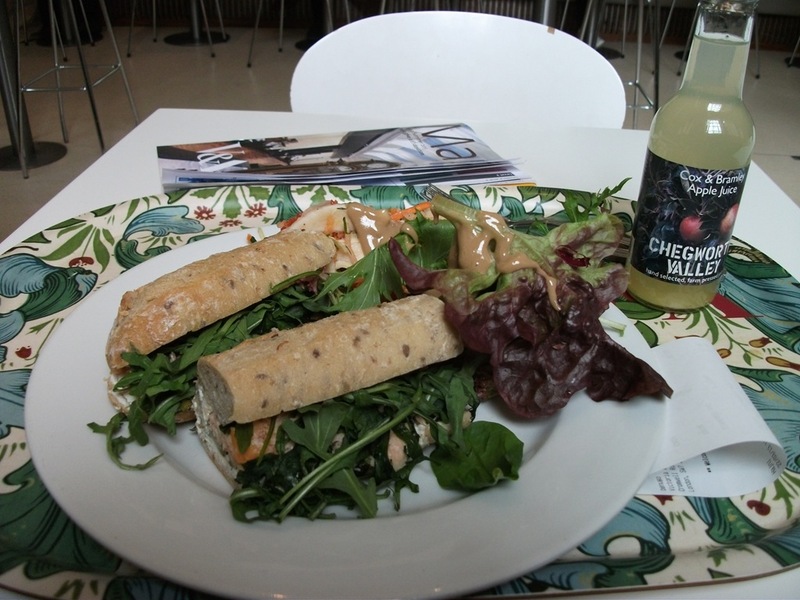 So, I went to the café on the ground floor. Wow! 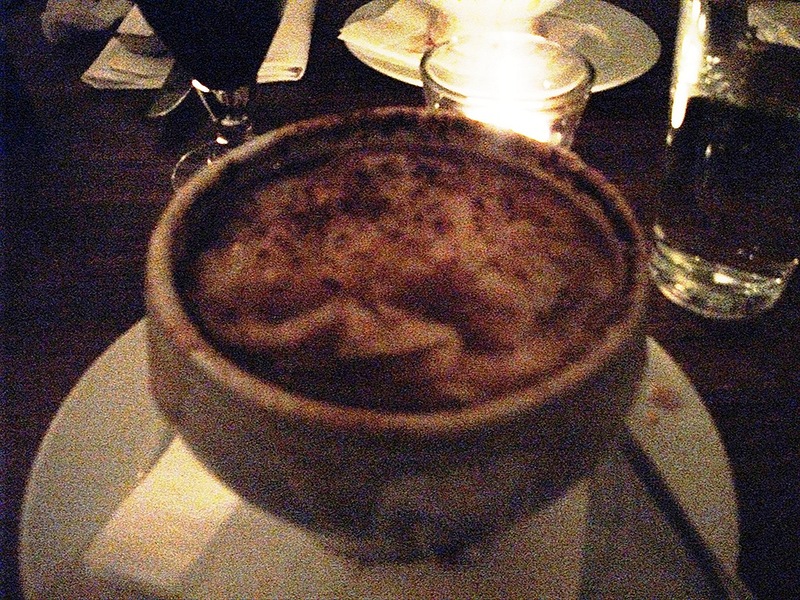 There were many kinds of food, sweets, and drinks in the cafe! It was around 11:30. Many people were enjoying their breakfast, brunch, or lunch. I decided to have early lunch there. I ordered smoke salmon and cream cheese sandwiches. The clerk asked me smilingly, “Would you like salad?” So, I replied, “Oh, yes. Well…some green salad and that carrot’s one, please.” Then I was very surprised at the amounts of the salads she served. In addition, I was astonished at the weight when I received the tray from her. I wobbled to an empty table. Actually it is tiring to keep sitting at the same place for a long time. So, I explored in the museum again, and then went out for some fresh air. It had completely stopped raining and snowing. I decided to go to see Royal Albert Hall and Kensington Palace. 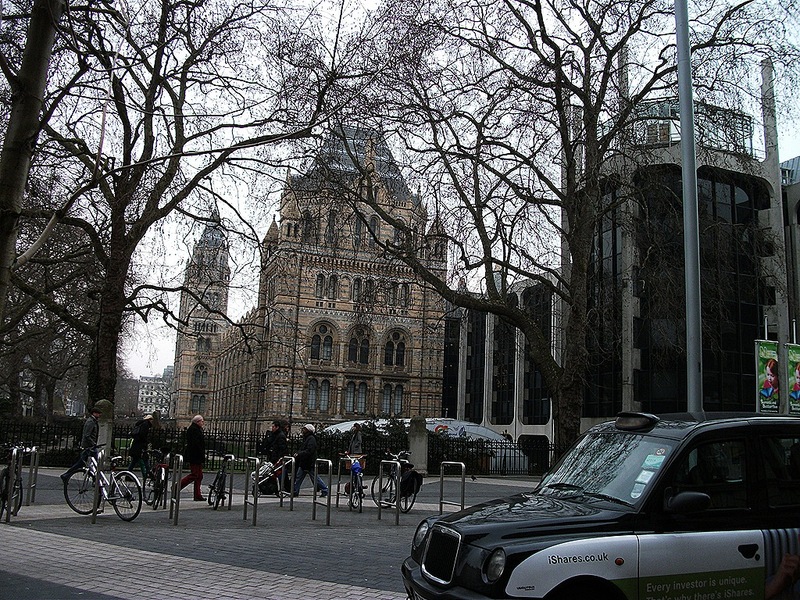 I walked on Exhibition Road and came to Kensington Road, when I felt really exhausted. I did not have that stamina to keep walking. 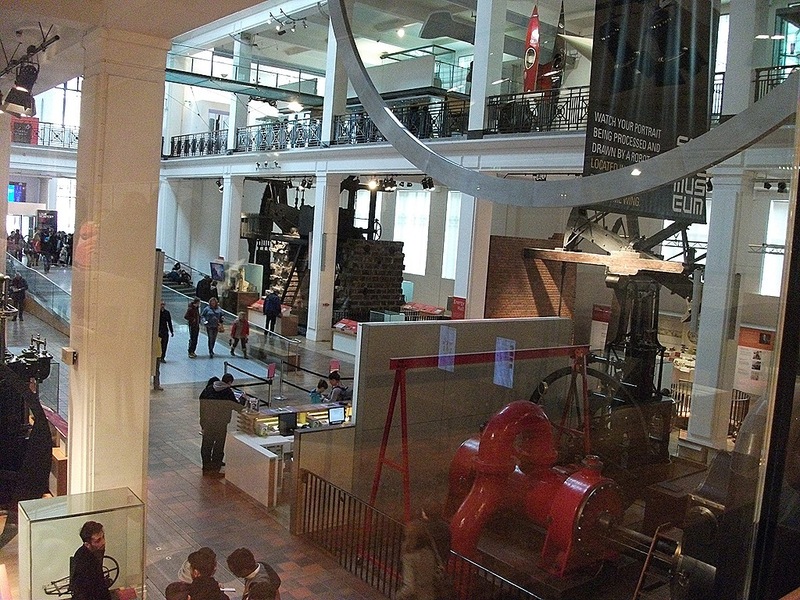 So, I turned back and went to the Science Museum, across from the Victoria and Albert Museum. It was not for seeing the exhibits, but for taking a rest at a café. 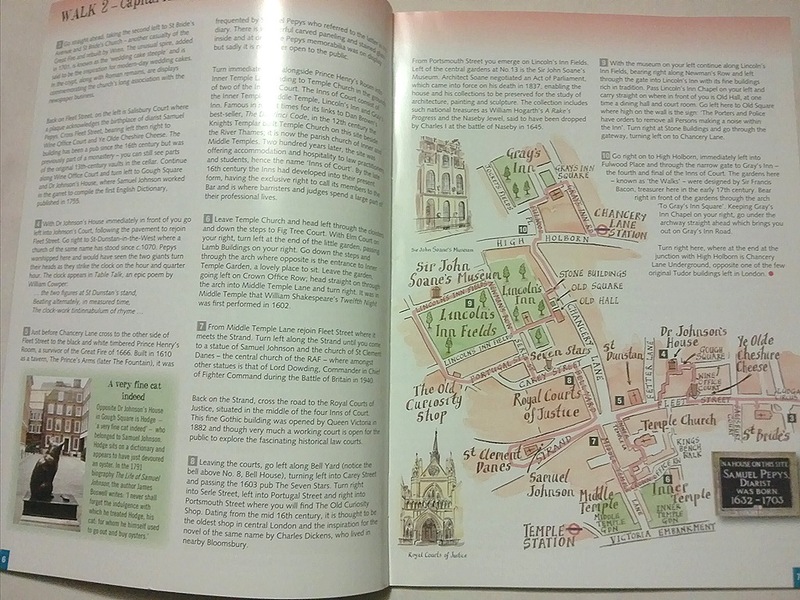 My Travel in London 8 ~ Back to London ~ I was making a strategic plan! I cannot believe I have not finished writing about my travel in London yet. This is the eighth episode on my travel in London. (The previous ones are here: My Travel in London 1, My Travel in London 2, My Travel in London 3, My Travel in London 4, My Travel in London 5, My Travel in London 6, and My Travel in London 7) I have just said “in London” above, but I was in York on March 20 and stayed in Hull that night. 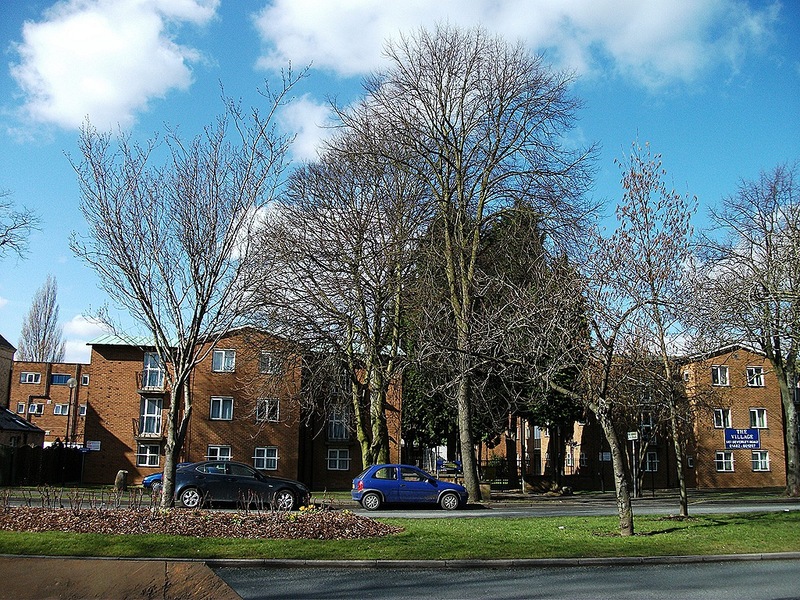 A friend of mine Yuko, who studies English at the University of Hull, let me stay at her dormitory. Wow! What a lovely breakfast! 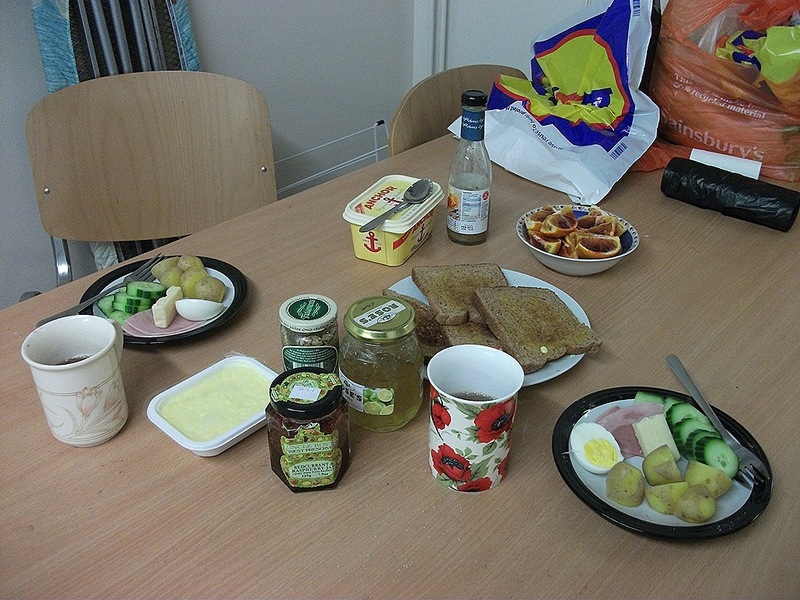 Boiled potatoes, a boiled egg, a sliced cucumber, cheese, ham, blood oranges, toast with cream and jams, and tea, which Yuko had bought in York the previous day. 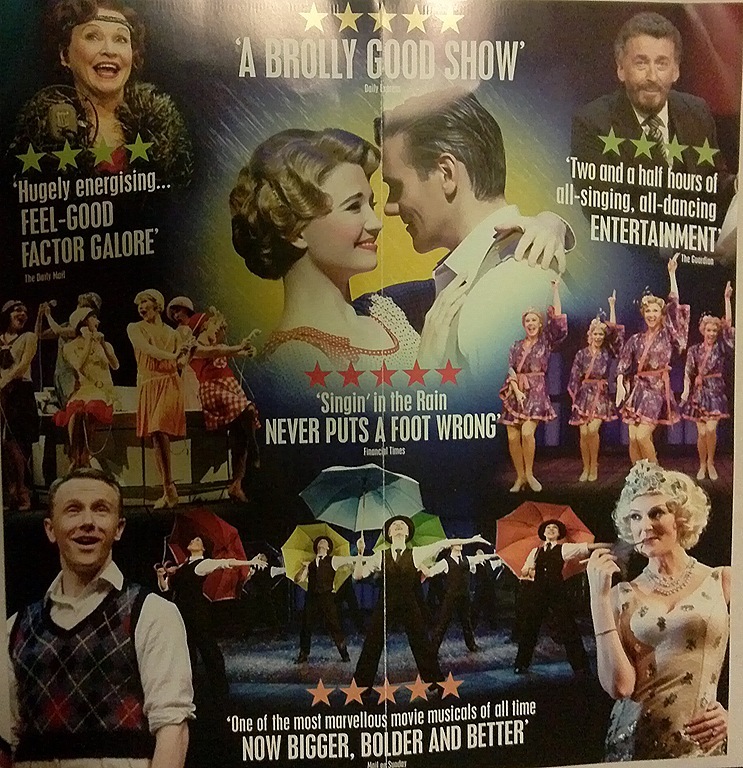 Everything was fantastic. We enjoyed our breakfast in a relaxed atmosphere. There is a bus stop across from the dormitory. We left the dorm and took a bus for Hull Rail Station at around 10:00. I do not know the details, but it seems that there are at least two bus companies that run buses to the station, and that the fare is different. So, I did not know how much I would pay when I got on the bus. Actually I do not know how much I should have paid still now. When I asked the bus driver what the fare to the station was (You tell the driver where to go and pay the fare when you get on the bus in York and Hull. ), he said something, blocking the slot of the fare box with his left hand, and motioned me to get in with his right hand. I did not understand what he said exactly, but I got the meaning. It looked like the fare box had broken. That was why I took the bus without paying. Oh, I’m lucky! 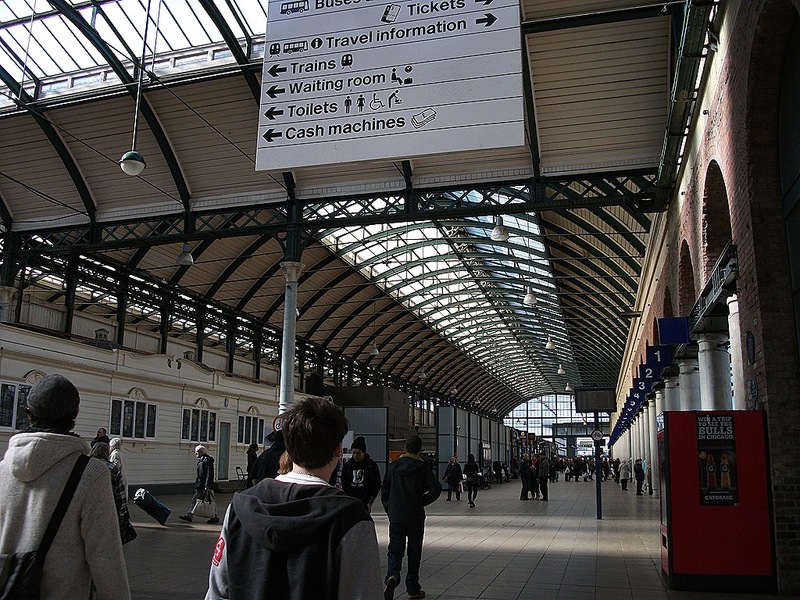 After about a 20-minute ride, we arrived at Hull Rail Station. 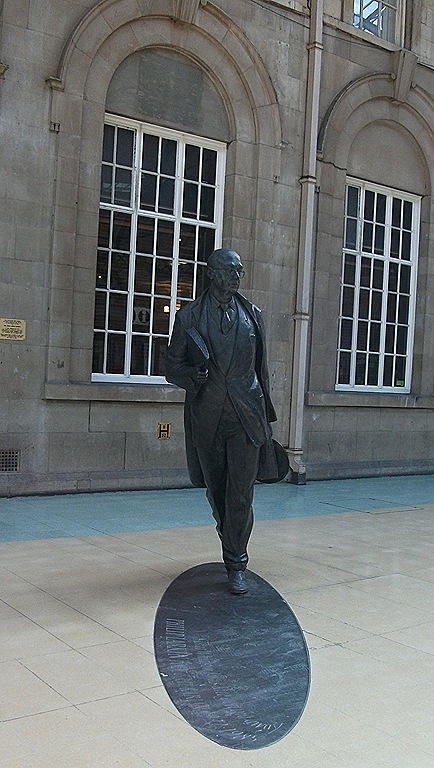 There is a statue of a British poet Philip Larkin in the concourse. Yuko says to him, “Wish me a safe trip!” when she sets out and “I’m home!” when she arrives at the station from her journey. Well, I will say to him, “Hi, Mr. Larkin! Nice to see you again!” next time when I visit the station. We were going to London. 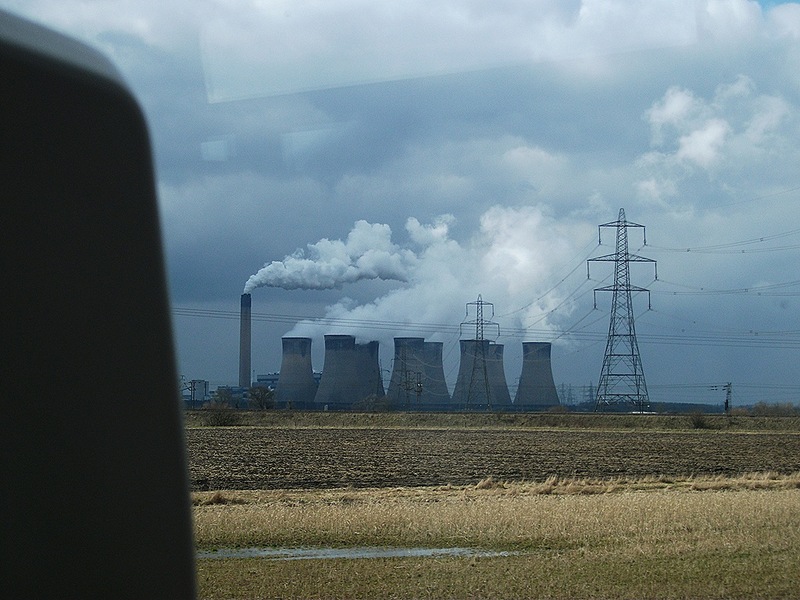 Most of the scenery we saw from the train window was the rural countryside to Doncaster from Hull. Suddenly Yuko shouted, “I’ve just seen a hare!” “Where! ?” I looked for the form but missed it. What I just found from the window was a power plant where a chimney and its cooling towers were billowing out white smoke. Those concrete structures looked ominous in the idyllic view. We changed trains at Doncaster to King’s Cross in London. The train was almost filled with passengers. Our seats were rear-facing table seats. It was my first time to sit at a table seat in a train. Yuko and I were sitting across the table from other passengers. At first, I felt a little awkward, but soon I noticed the advantage of our seats. Surprisingly, Yuko had prepared for our lunch: sandwiches! It was very convenient for us to use the table when we were having the sandwiches. They were, of course, delicious! We arrived at London at around 2:00. 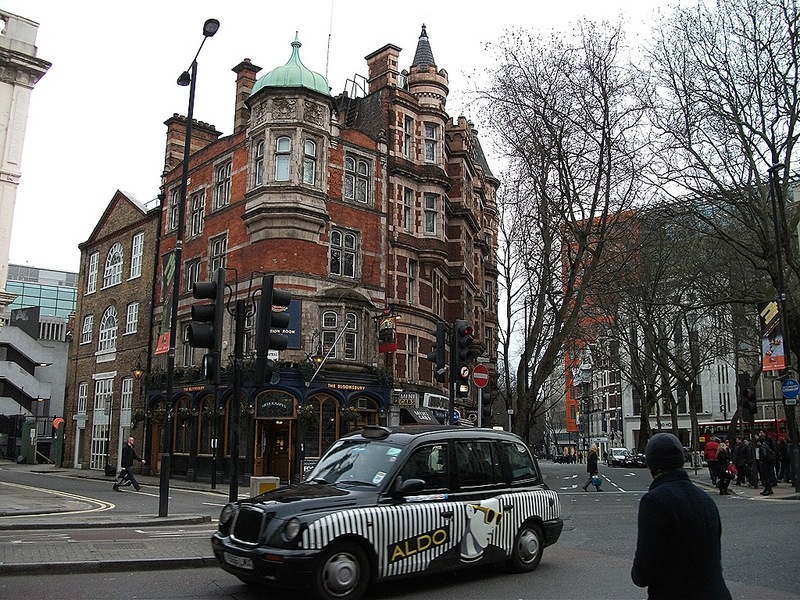 Yuko was going to her hotel in Bayswater to check in and then to St. James’s Park to see daffodils. 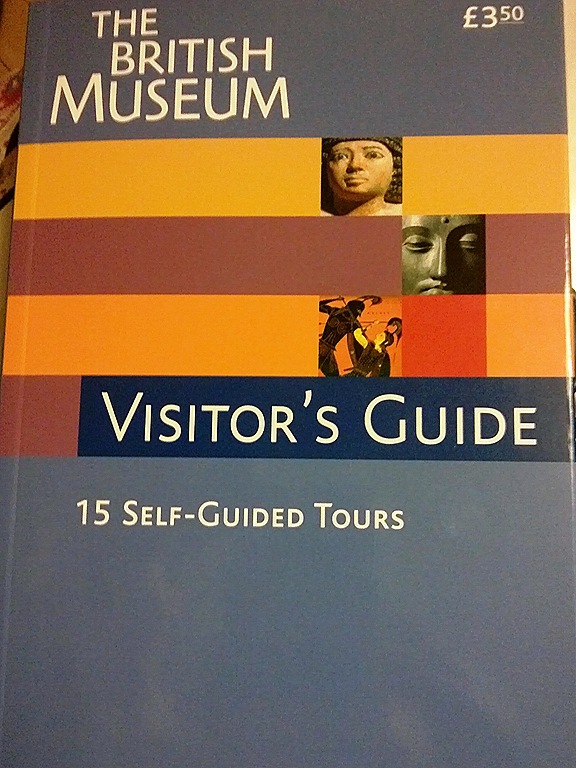 In the meantime, I was going to the British Museum. 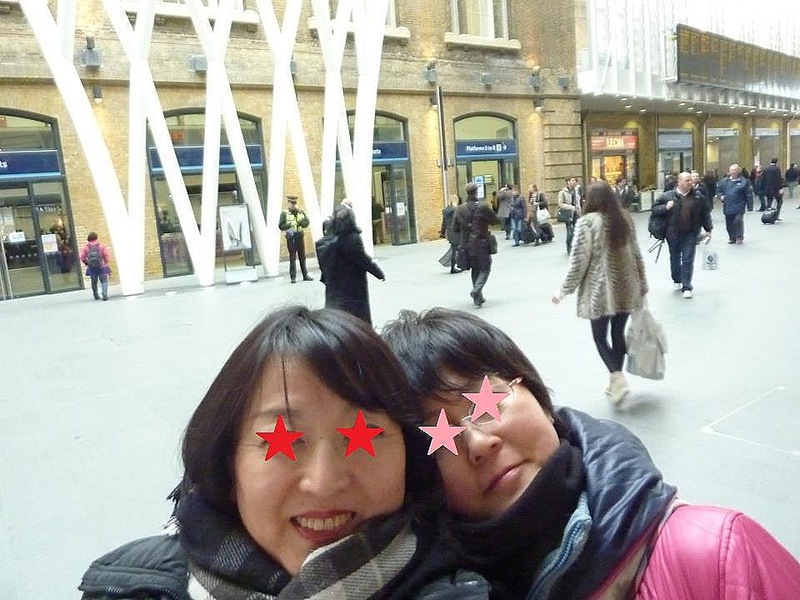 We decided to meet each other at the shop in the British Museum at 4:00 and went to each destination separately at King’s Cross. I took the underground to Russell Square. 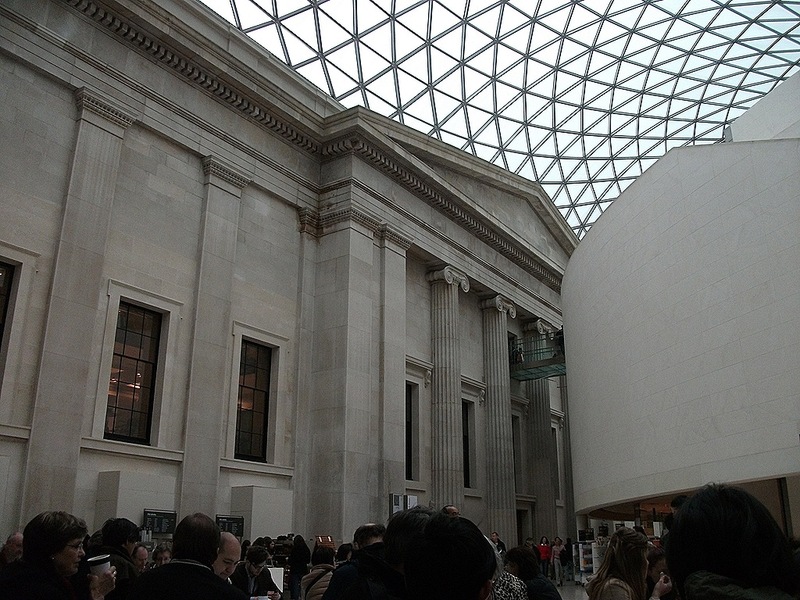 It was an about 10-minute walk to the British Museum from the station. I entered the museum from its north gate, which was under construction when I visited. 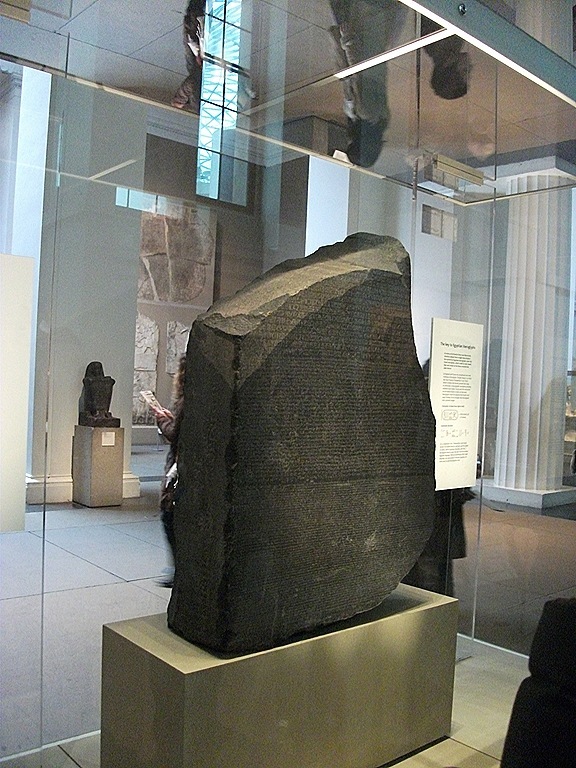 My main target in the museum was that famous chunk of rock: the Rosetta Stone. As you know, the Rosetta Stone was a part of a stone pillar discovered by Napoleon’s army in the Nile Delta in the 18th Century. There are the same text written in three scripts- ancient Egyptian hieroglyphs, Demotic and ancient Greek- on the surface of the stone. It is beyond renown that a French scholar Champollion deciphered the text in the 19th Century. I found the stone easier than I had imagined. The stone was sitting neatly in the Egyptian Sculpture section in the Ancient Egypt Department on the ground floor near the shop. It is wonderful to see the real thing that I learned from the textbook in my school days. I had thought the stone would be much smaller. After the Rosetta Stone, I began exploring in the museum. But I could not. I was more tired than I had thought. I could not climb up the stairs from the ground floor briskly. My legs were heavy like lead. I had to drag myself. 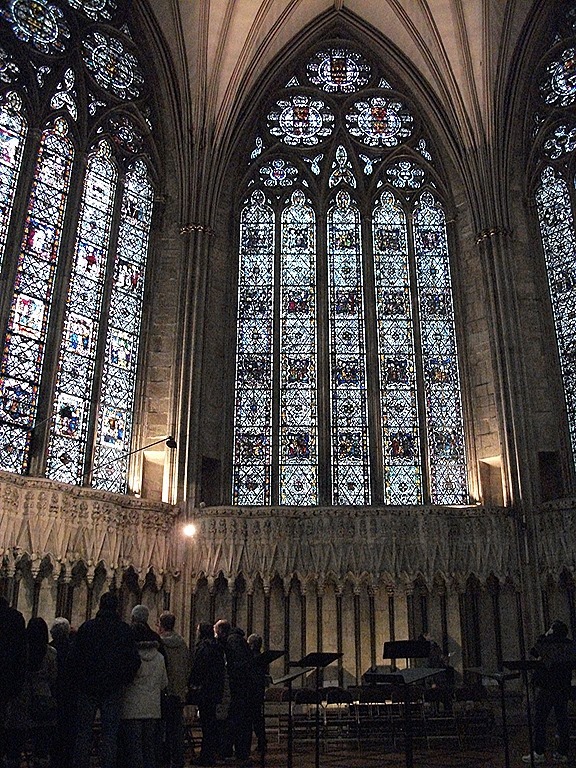 I was walking somehow, but I did not have stamina or concentration to appreciate precious exhibits. I was just browsing. I got more exhausted because I was just walking without a plan. My Travel in London 7 ~ York 2 ~ Where’s Betty? 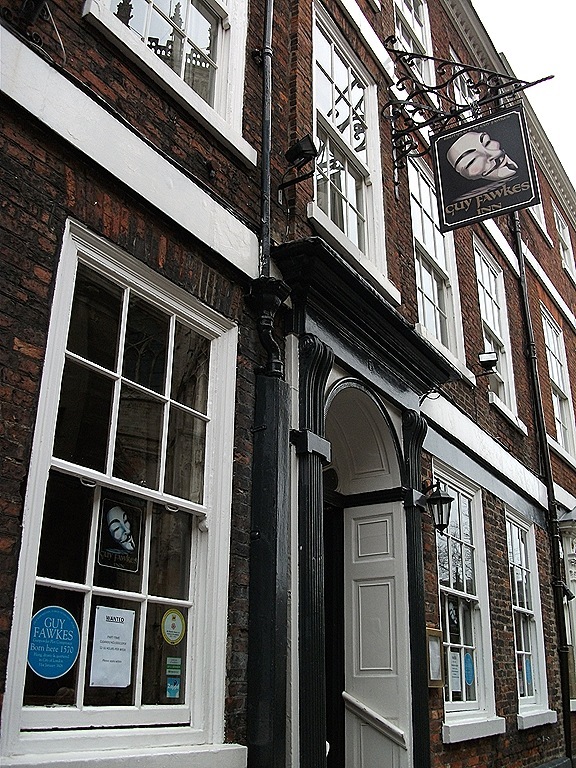 On our way to Bettys, there was a pub named Guy Fawkes Inn across from York Minster on High Petergate. Most Japanese people might not be familiar with the name, but I happened to have an English class dealing with Guy Fawkes Night last November. I was happy to find the birthplace of the notorious plotter in U.K. by accident. Walking on High Petergate toward Low Petergate, we turned right at the first corner. 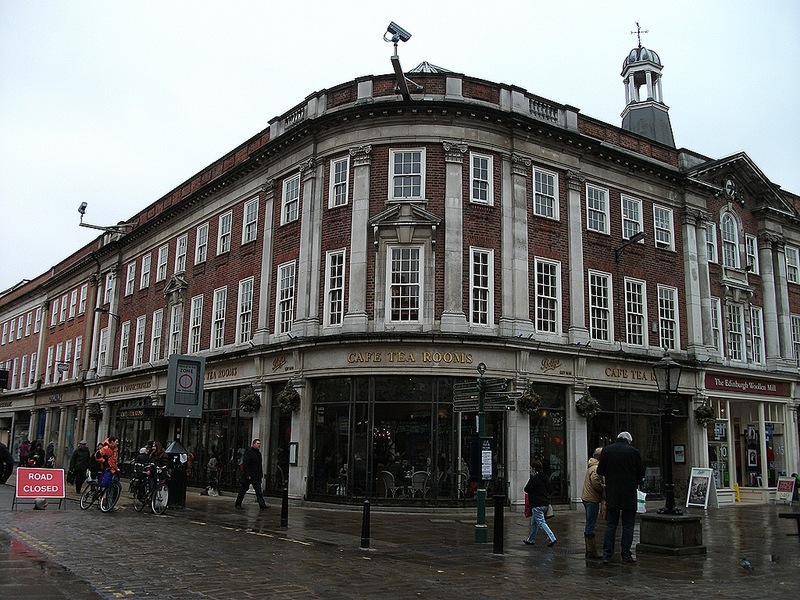 Bettys Café Tea Rooms was there on Stonegate. 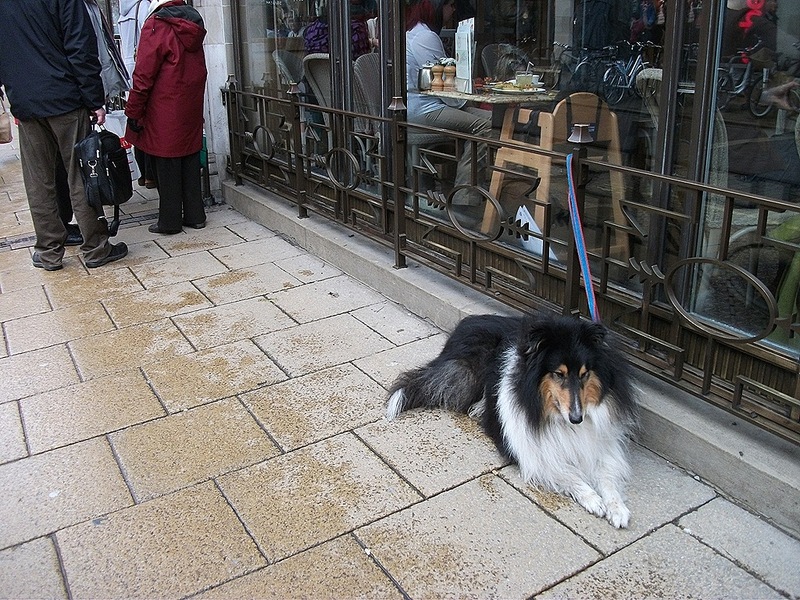 There was a dog waiting for its owner to finish his or her lunch outside and there were many people waiting for tables inside. The left side of the café was a cake shop, where wonderful-looking sweets were arrayed on its tables and shelves, and the right side was a tea room, where people were enjoying tea and food. But it was the basement floor where we were led to after a short time. Descending the narrow circular staircase, a vast room in dim light loomed before us. There were also many people enjoying their lunch on the basement floor. After wavering, Yuko ordered “Breakfast Rosti – grated potato and gruyere cheese mixed with cream and fried until golden. 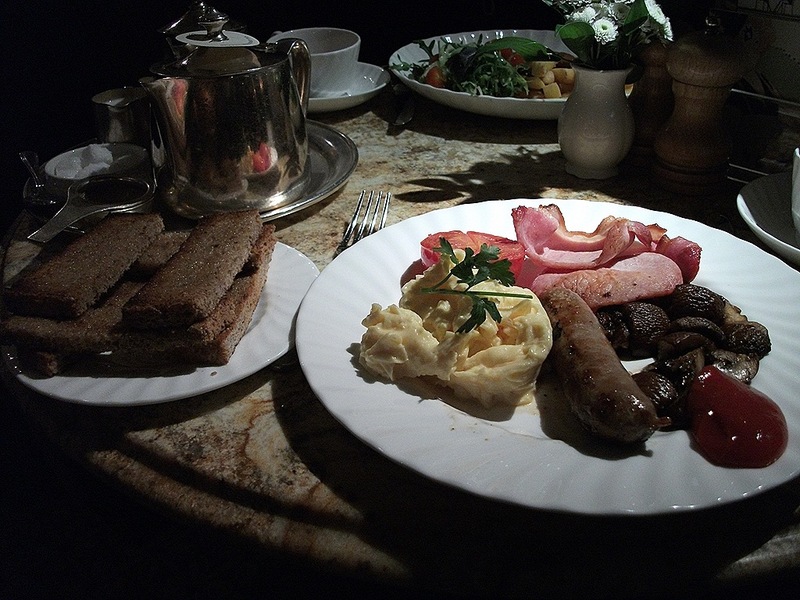 Topped with grilled dry-cured bacon, a grilled plum tomato, chestnut mushrooms and a poached egg – and I “English Breakfast” – grilled dry-cured bacon, scrambled eggs, a grilled plum tomato, Bettys Yorkshire sausage, chestnut mushrooms and buttered toast. Sound delicious? Yeah, they were very nice. We enjoyed them with Bettys Breakfast Tea, though it was in the afternoon. 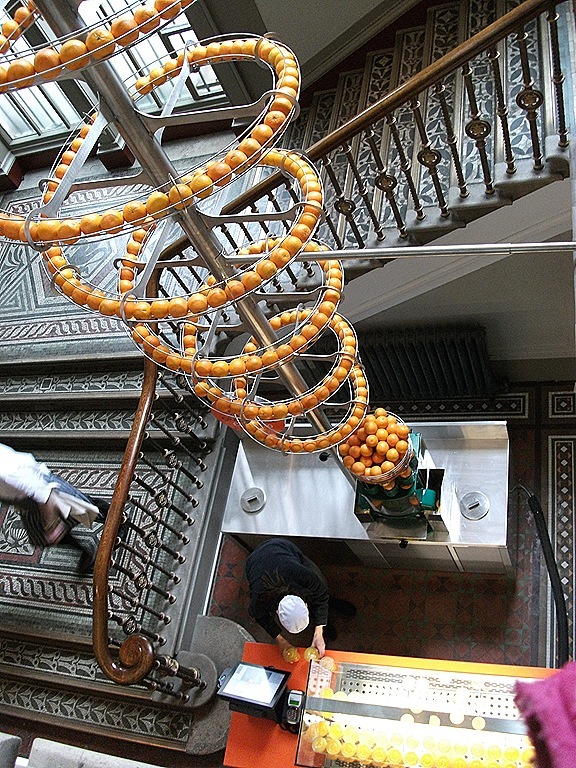 We finished our lunch and were about to climb up the circular staircase, when a little boy came running down the stairs shouting, “Where is Betty?” That was funny. 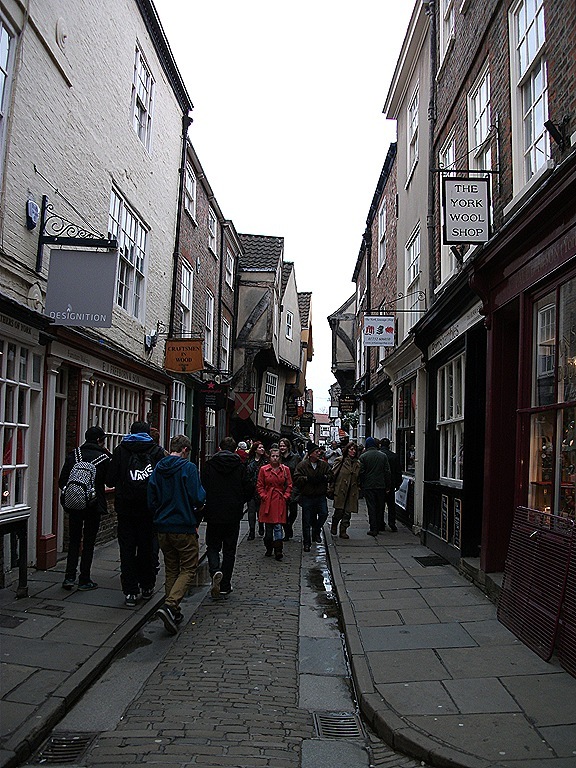 After leaving the café, we enjoyed walking on an old street named Shambles, where buildings of the 14th Century were standing along the narrow passage. The old structures are still used as shops and attract many tourists. I felt as if I was wandering into Hogsmeade Village, one of the places in Harry Potter. 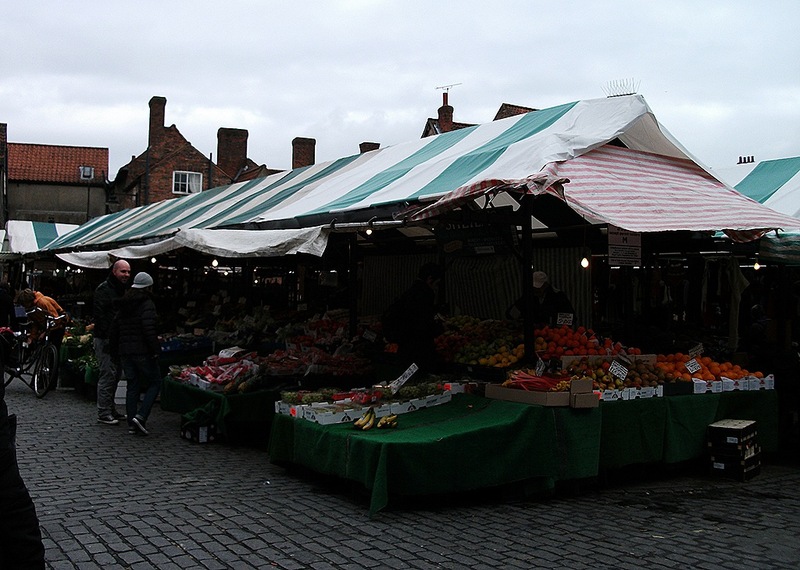 And then we were exploring in an open-air market called Newgate Market. There were vegetables, fruits, and fish that I had never seen in Japan selling in the stalls. If I lived in U.K., I would try them…Chagrin. 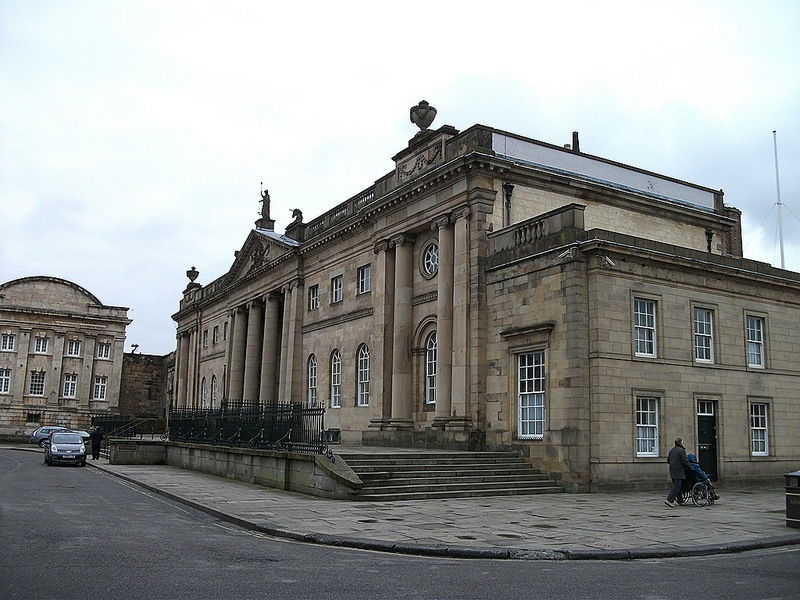 Leaving the market, we walked through Piccadilly to York Castle Museum. 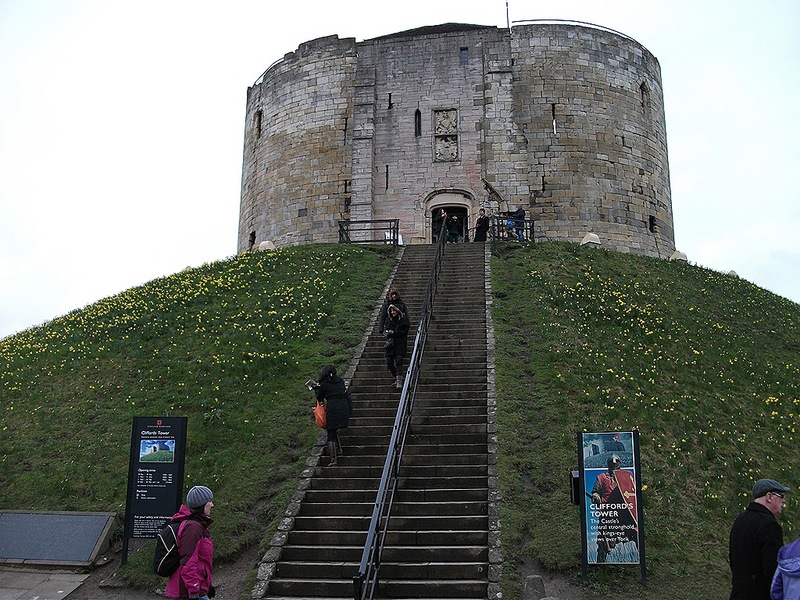 There was a prominent stone construction in front of the museum: Clifford’s Tower. It is the remains of a medieval Norman castle built in the 11th century. In spite of the peaceful-looking appearance, it has a bloody past as a prison, and a place for public displays of enemies’ bodies or for massacring Jewish people…Although I did not know the fact, I could not climb up the tower. Was it because I sensed something? 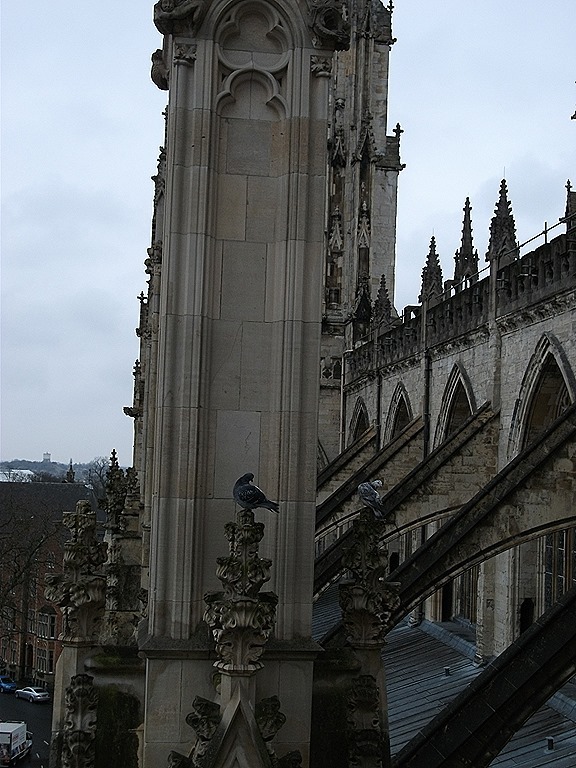 No, I was too tired to go up after climbing the tower in York Minster. Actually Castle Museum itself used to be a prison…But nowadays the building displays everyday life in U.K. 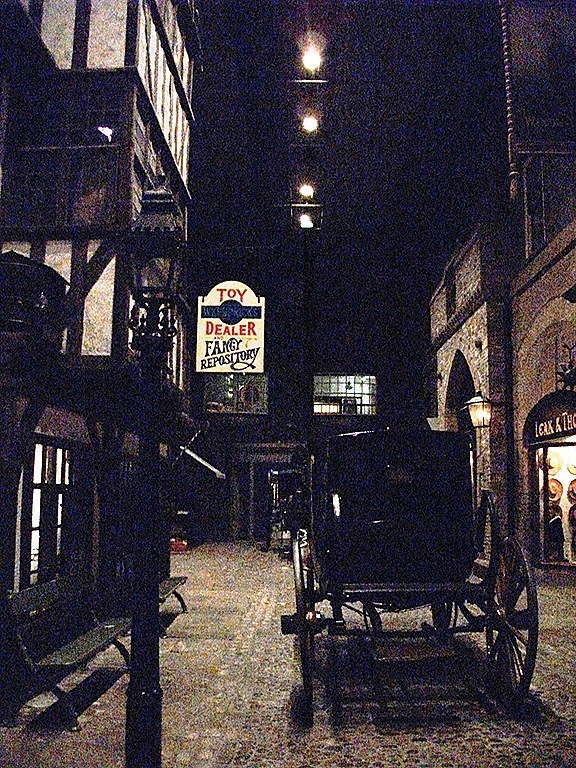 The most famous one of the exhibits in the museum is a recreated Victorian street, Kirkgate, which was named after the place’s founder, Dr. John.L. Kirk. 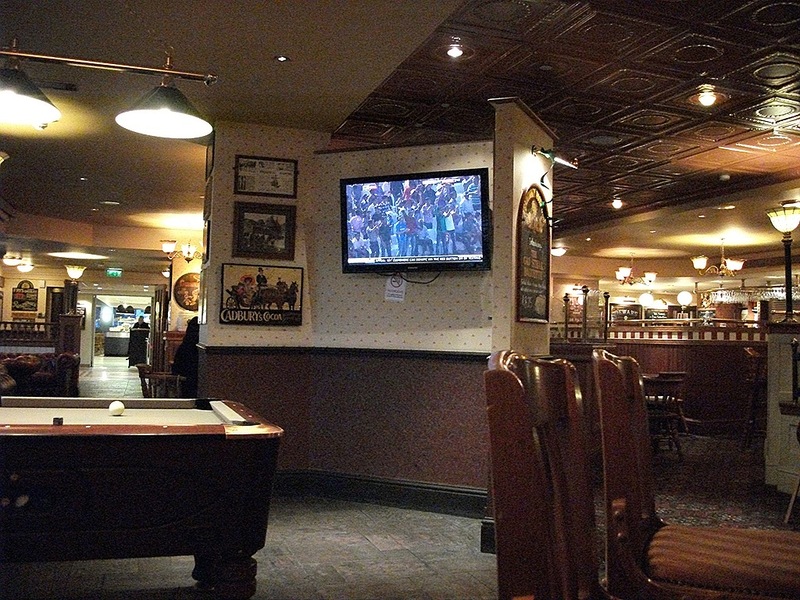 You can enjoy exploring not only in the main street but also in the backstreet, where you can enjoy talking to clerks and shopping in a chemist shop or a sweet shop of the era. I thought the sweet shop was almost the same as the one we had seen in Shambles. 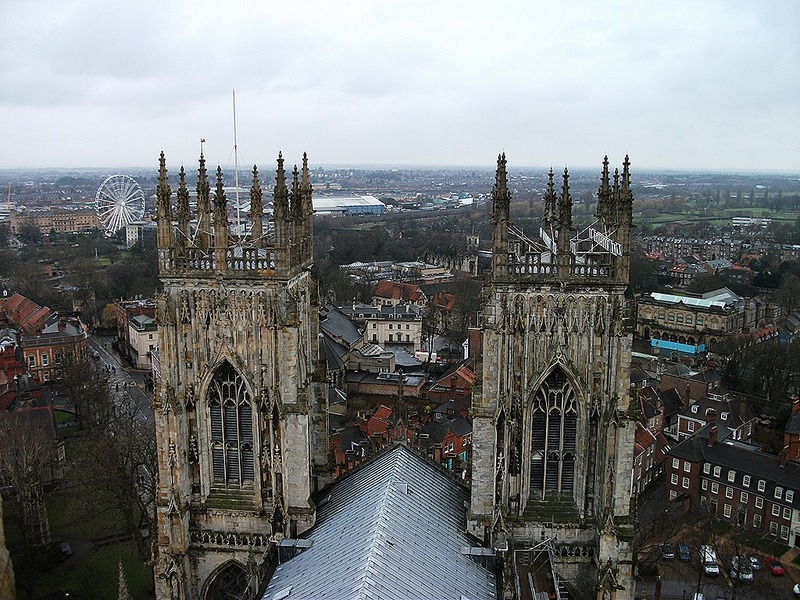 The town of York itself looked like a museum to me. Then we went to Marks & Spencer on Pavement to buy something for our breakfast. 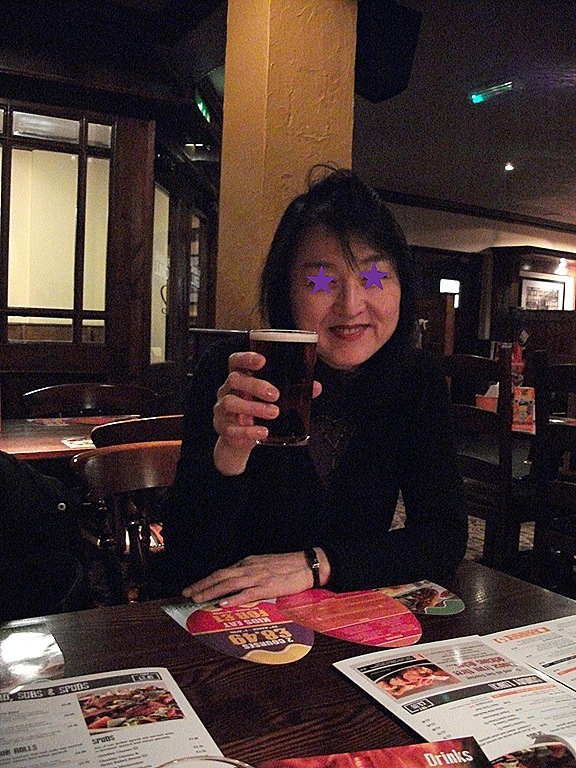 I was supposed to stay at Yuko’s room in Hull that night. After shopping, we took a rest at Costa until the bus for Hull came. It was the first time for me to take a bus in Britain. Double-Decker! We sat on the upper deck. While riding, I noticed that the bus had no announcements for the next stop. I was wondering how people got to know where they got off the bus when it was dark outside. Yuko said, “You need to get used to it. I got off at wrong stops many times.” That was why she was concentrating to see outside when the bus was approaching the nearest stop to her dormitory. At last after a two-hour ride we were able to get off the bus at the right place safely. 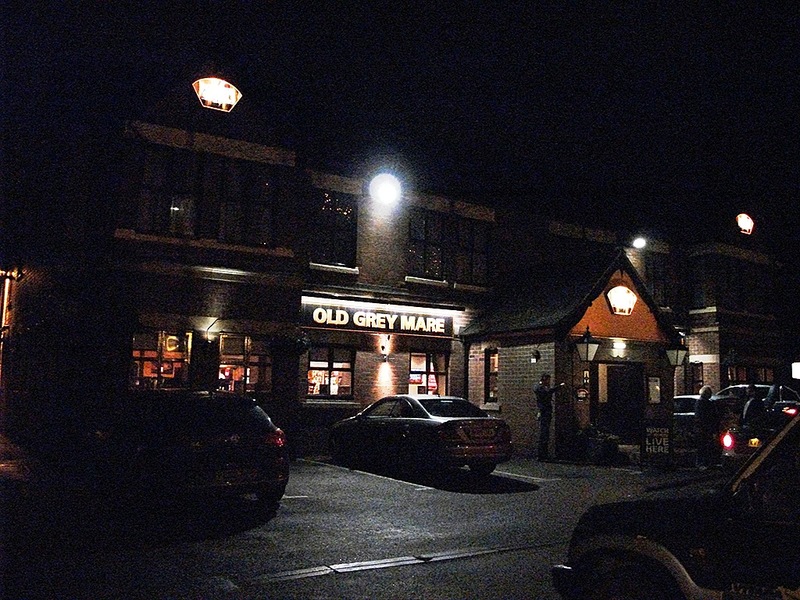 Leaving our baggage in her room, we set off to a pub, the Old Gray Mare near the University of Hull, where Yuko studies. 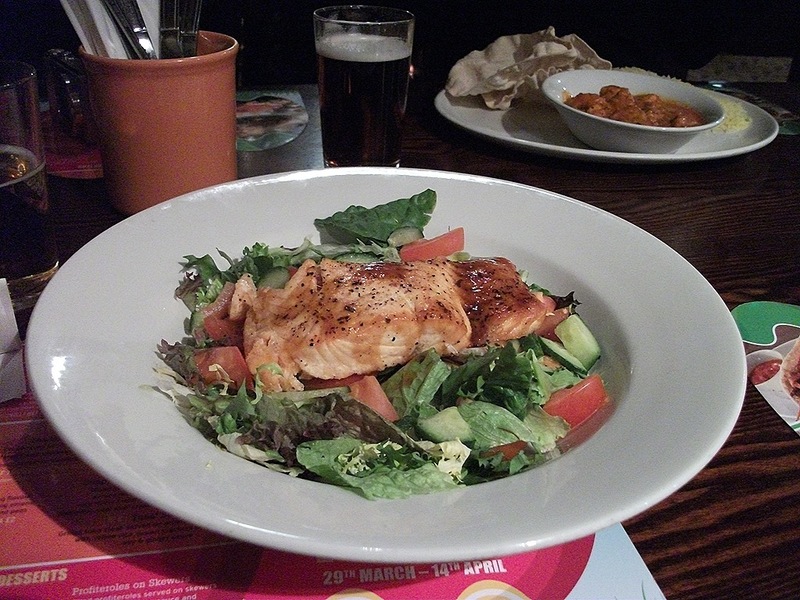 Yuko and I enjoyed beer and fantastic food at the pub. Who said “British food is bad”? It is excellent! 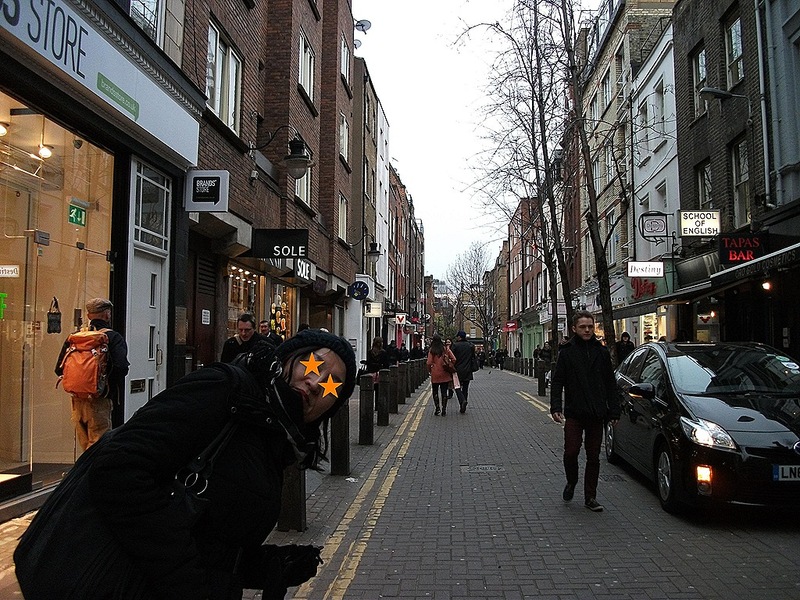 My Travel in London 6~ York 1 ~ How come I’ve joined this activity…? Ah, yes. I did not need to insert my ticket to the ticket wicket to go outside. We were walking to the street from the station without meeting any barriers. Yuko lives in Hull. 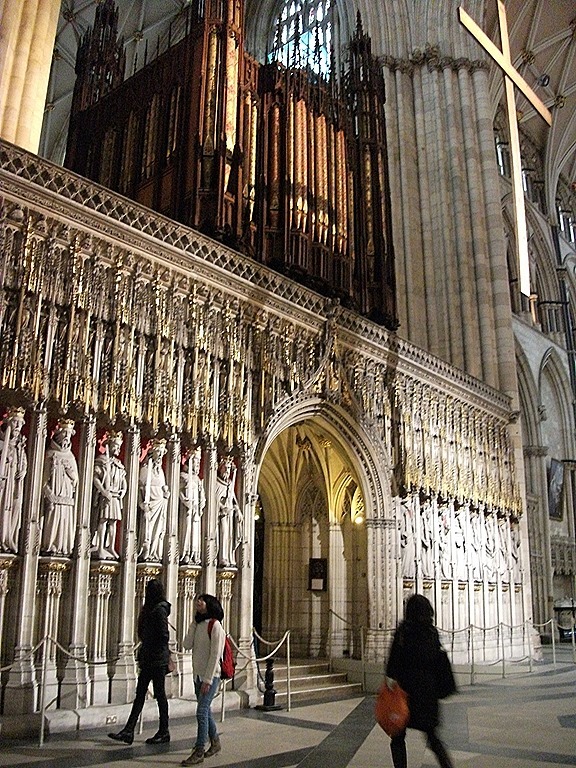 When I told her about my visit to London, she suggested going to York together. 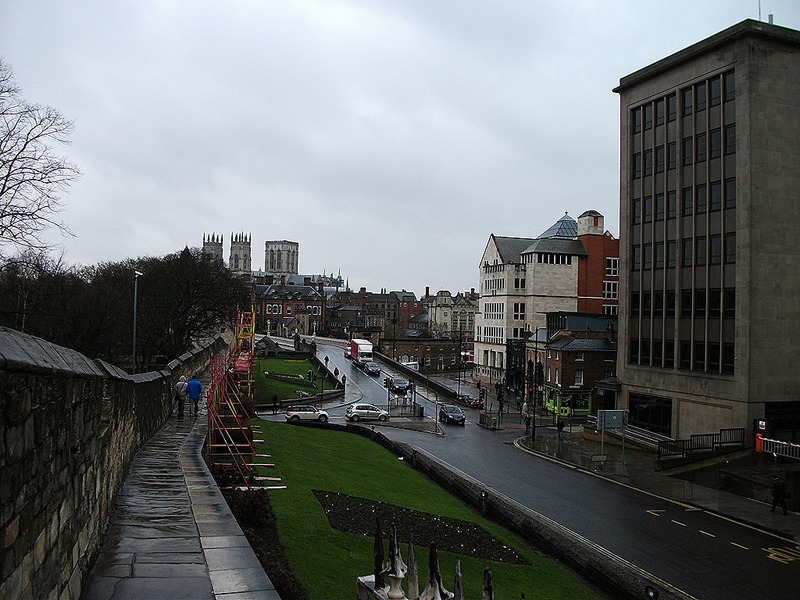 It was colder in York than in London. 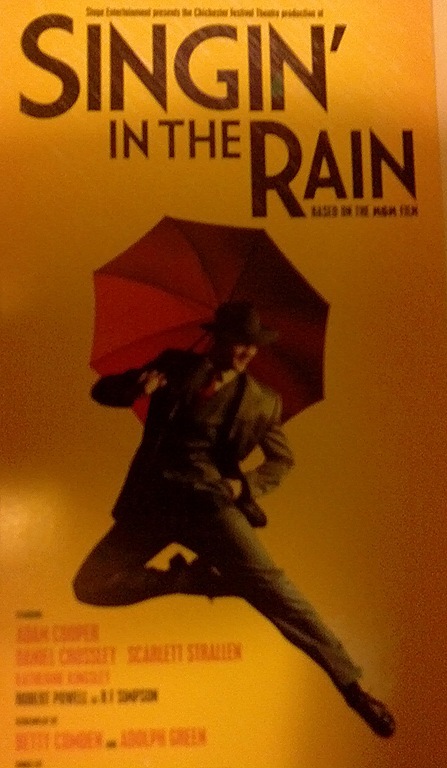 And it was raining, but it was not necessary to put up an umbrella. There were long stone walls before us. 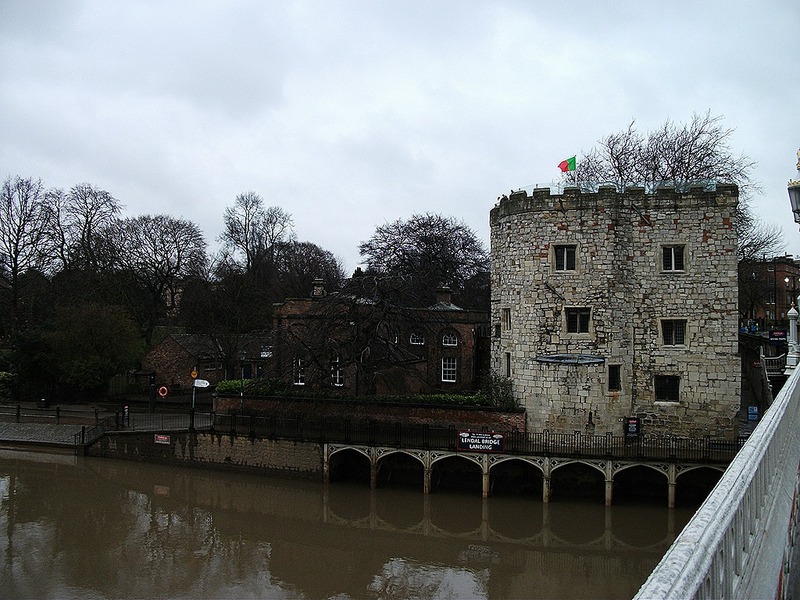 They are York City Walls, a part of which was made in the Roman era. We crossed the road and went up to the walls. 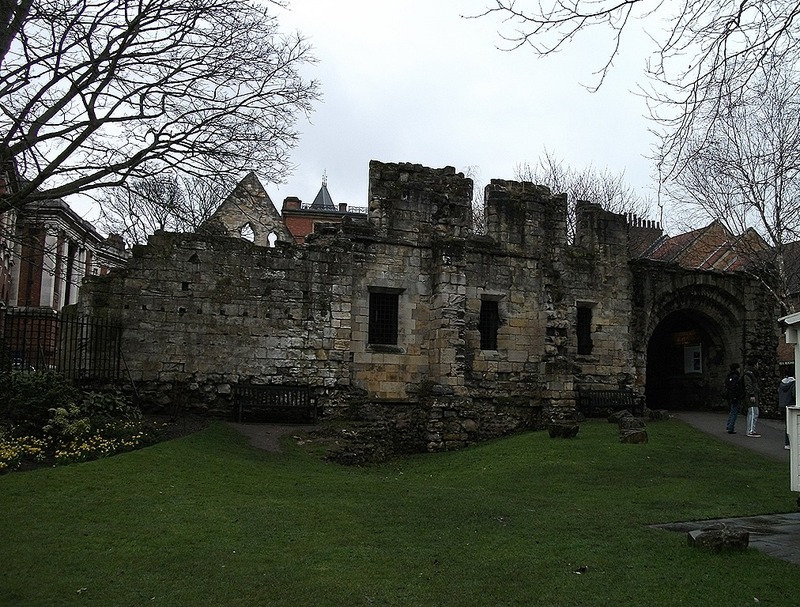 While walking along the walls, we arrived at The York Museum Gardens, which used to be the gardens of St. Mary’s Abbey. St. Mary’s Abbey is now a ruin. Its stone remain were standing there silently in the rain. There were few visitors in the place that day. We were wrapped in silence. It was as if time had stopped. 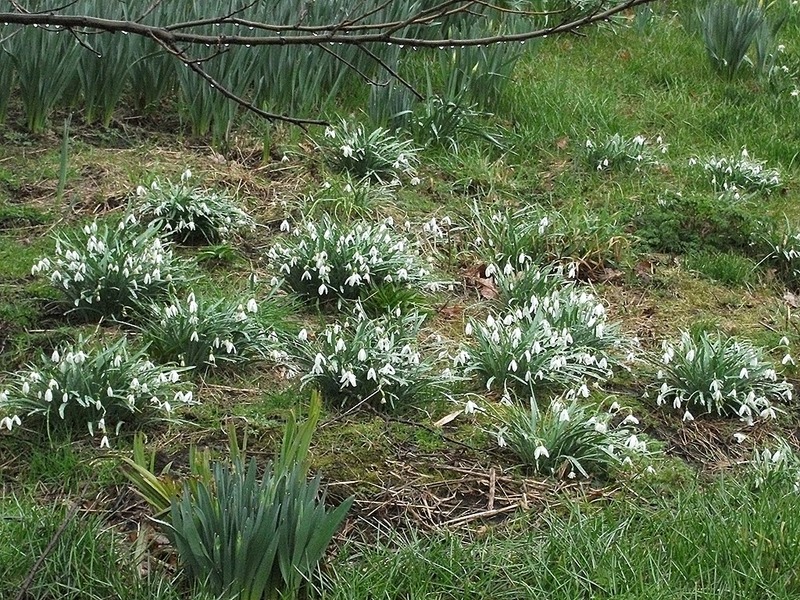 We were walking by lovely white snowdrops in the wrong season. They were bending down their heads in the rain. 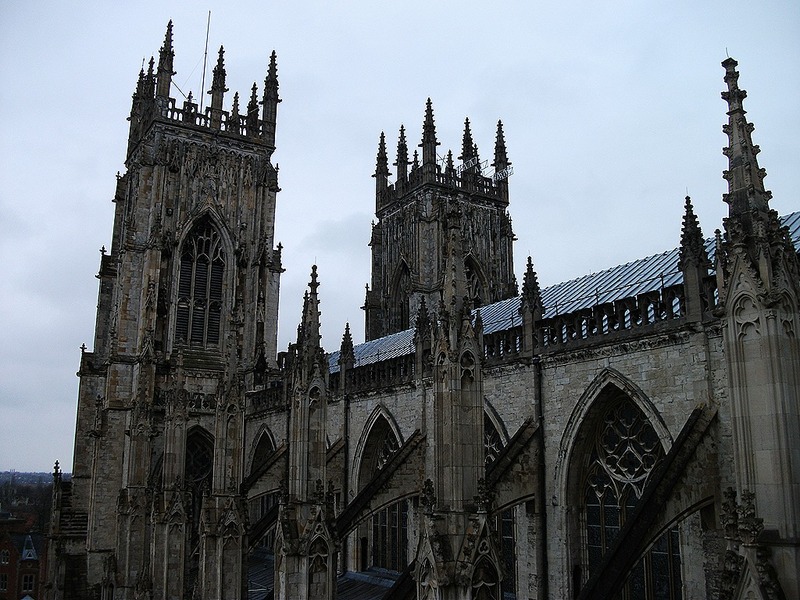 After leaving the peaceful place, we were walking to York Minster. The church was very beautiful and magnificent. All of the decorations were intricate and elaborate. 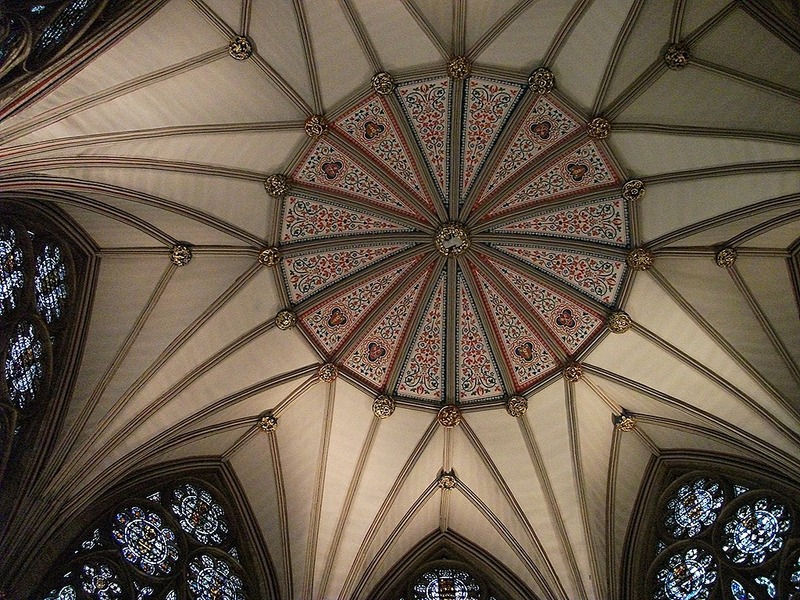 Look at the ceiling of the chapter house. The octagonal dome with that beautiful stained glass was spectacular. 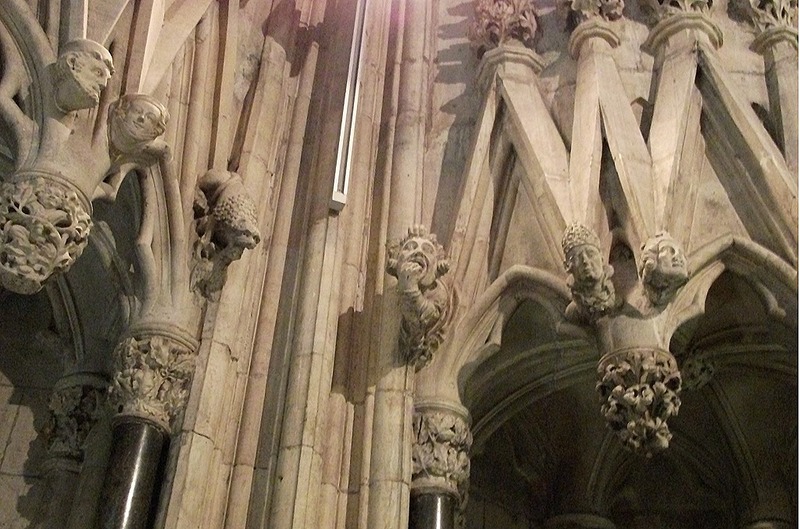 But what I liked the most in the place was its curved wall, which had innumerable sculptural humans and animals. Their expressions were unique and humorous. It was interesting to let my mind drift about what the sculptors had been thinking about during work. The part of the church is under construction for conservation. 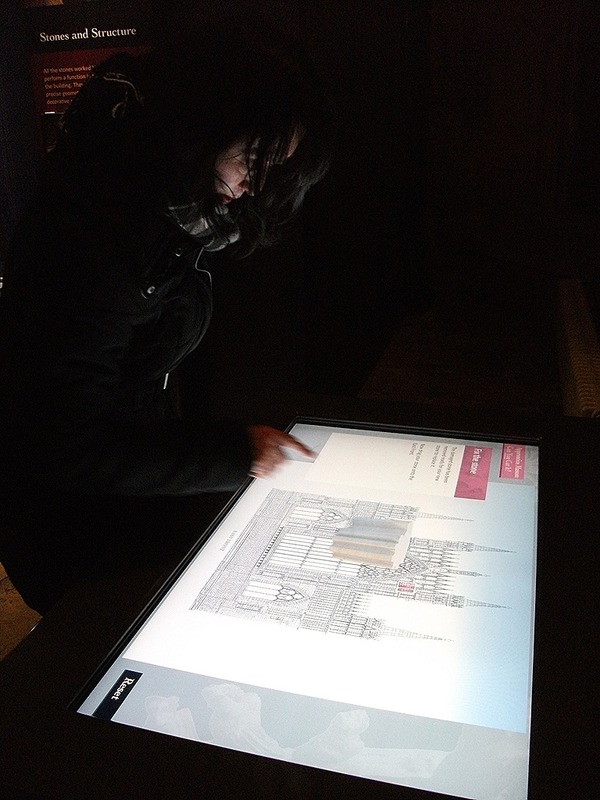 You can experience a part of the repair work virtually by playing a restoration game. Yuko was recognized as a skilled craftsman in this game. 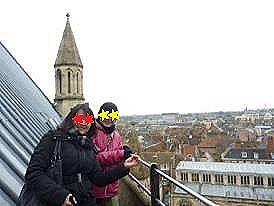 When Yuko and I finished seeing most parts of the church, it was a few minutes before the tour of climbing up the tower began. About twenty people were waiting for the tour. 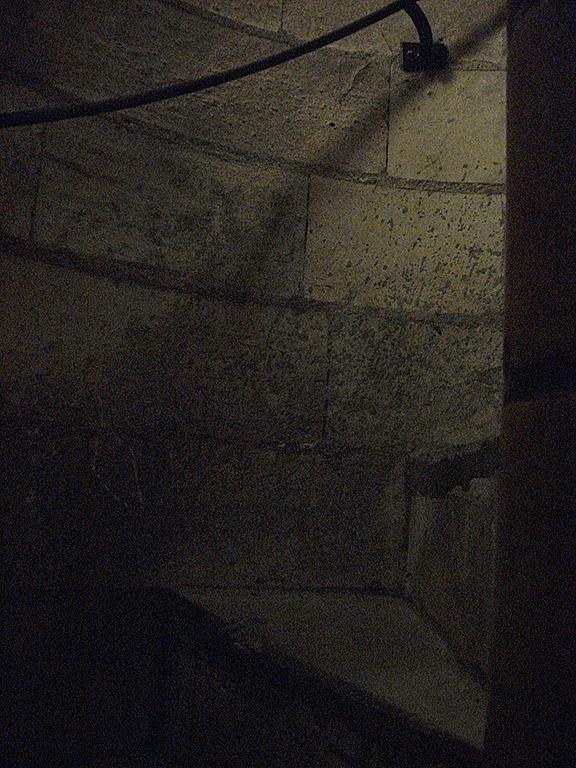 At 11:30, we ducked under the small door to the circular stairs of the tower and started climbing up. The inside of the tower was very narrow, and the stone steps were very small. It was not easy to keep on climbing up on the steep and narrow steps. But there were no places to rest or to retreat once you began climbing up. My heart was pounding incredibly fast, and my legs were leaden. Suddenly it was getting brighter ahead. Next moment we were standing outside. But our joy did not last. That was a connecting path to the next building. We were just on a half way. Still, we were able to get our breath back a little and to inhale fresh air. Then we had to climb up in the dark tower again. All I was able to hear were my own heavy steps and my hard breath. How come I’ve joined this activity…? I was regretting…But I had to go ahead. There were nearly 20 people behind me. I couldn’t stop. Finally, I stepped on the last stone and went outside. 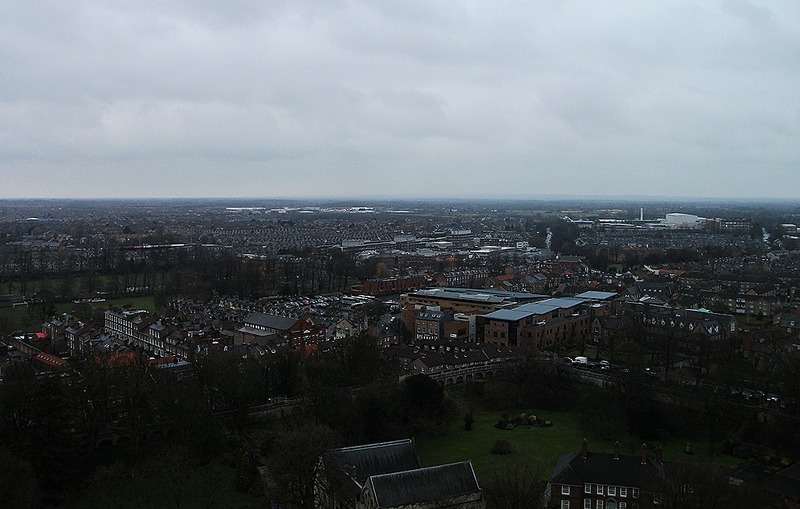 I was standing on the top of the tower. It was incredibly cold. It was snowing! But even the coldness was comfortable for my flushed skin. My heart was almost bursting out from my rib cage.